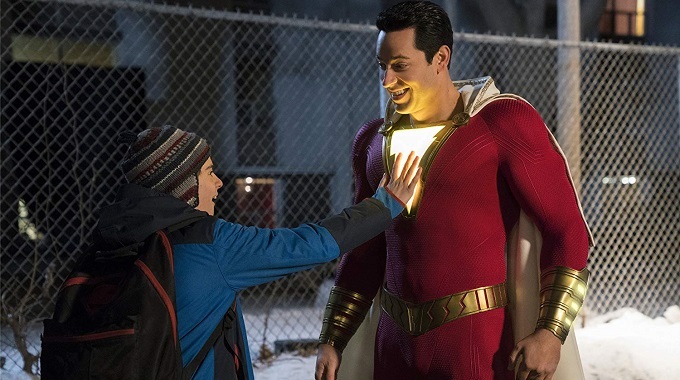 A lively performance from Zachary Levi keeps things entertaining in Shazam!, a superhero movie that does its best to combat the silliness of its premise through the use of humour and fine action set pieces. It is very easy for a superhero movie to descend into silliness. The wrong creative decisions can turn a Batman Returns into a Batman Forever with ease. When watching the opening scenes of Shazam! 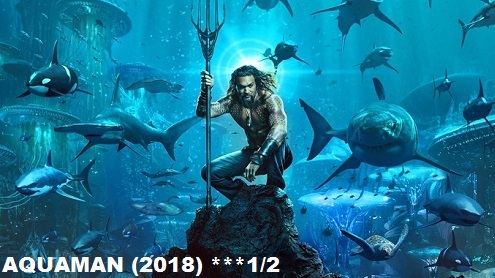 it felt like this latest entry in the DC Extended Universe was heading down that path, as we watch an adolescent boy transported to the lair on an ancient Wizard who rambles on about power and purity. All the while, growling gargoyles with glowing red eyes look on. So far, so 1990s superhero movie. Thankfully, like a bolt of lightning, Shazam! switches gears to the story of Billy Batson (Asher Angel), an orphan and juvenile delinquent who in his search for his mother, instead finds himself face to face with The Wizard (Djimon Hounsou) who bestows Billy with the power to transform into a God like superhero with the superpowers of speed, flight, and strength, yet with not a clue in the world of what to do with them. Portraying the character of Shazam! (known originally as Captain Marvel) is Zachary Levi, and it is terrific casting. Getting himself into convincingly terrific shape for the role, Levi’s greatest strength is his on point comedic chops, which he uses to disarmingly excellent effect. 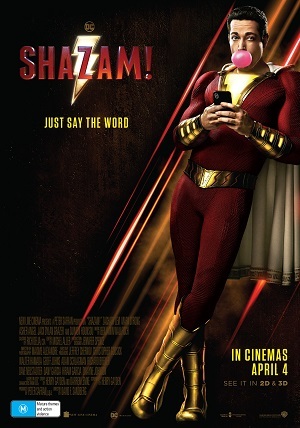 Alongside his disabled, superhero obsessed foster brother Freddy Freeman (Jack Dylan Grazer), Billy/Shazam tests the limits of his powers with one priceless skit after another, Levi hitting all the right notes of musclebound hero, angst ridden teen, and over his head buffoon. Every hero needs a villain, and playing the part is the ever-dependable Mark Strong (in his umpteenth such performance). He plays Dr. Thaddeus Sivana, an inventor and industrialist obsessed with obtaining the magic that Shazam possesses. Sivana is aided by the “Seven Deadly Sins”, a group of demons that personify the mortal sins of greed, lust, etc. Director David F. Sandberg, who has made a name for himself with horror films Lights Out and Annabelle: Creation, brings a certain edge to the depiction of these monstrous creatures and their equally monstrous appetite for human flesh. One scene where a board room filled with unsuspecting victims are decimated by Sivana and his monsters pushes the PG-13 rating to its limit. The films action scenes are very well done, and expertly blends humour to its super-powered smackdowns. Scripted by Henry Gayden (Earth to Echo) and Darren Lemke (Goosebumps), Shazam! very much is a classic superhero movie, albeit one missing some depth to its story. While there is talk about the importance of family (no matter the construction), it is a shame that the film did not delve further into the seriousness of wielding absolute power. Such messaging goes a long way in movies aimed towards a younger demographic. This gripe aside, Shazam! 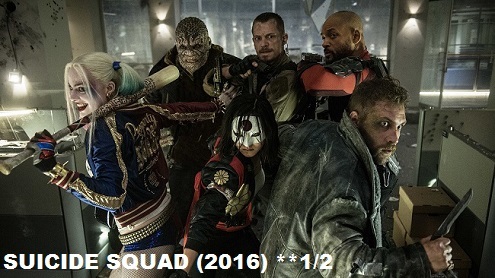 works its magic well as an entertaining superhero movie that is as funny as it is thrilling.